Beach side boutique hotel with views of the Pacific. Venice is a residential, commercial and recreational beachfront neighborhood on the Westside of the city of Los Angeles. Venice was founded in 1905 as a seaside resort town. It was an independent city until 1926, when it merged with Los Angeles. Emporium hosting food vendors & florists, plus game nights, movies & other events, since 1917. Casual, egg-centric food stand in the Grand Central Market offering omelets & other American grub. This grocery store stocks Asian foods & is known for its large & varied seafood department. American Vintage. Be a rebel. Upscale, organic Mexican fare (including vegan options) & cocktails, served amid posh decor. Set in a greenhouse, this vegetable-centric spot in the Line Hotel offers Pan-Asian fare all day. Lucha Underground announces taping dates via Social Media (FB, Twitter). Tapings can last between 1-3 hours depending and will be in Boyle Heights, CA. Requirements: You must be 18 yrs or older and may have to sign a non-disclosure agreement upon entering the arena. To watch the event from a screen near you, go to their website. Often packed, find booze, music, dancing and karaoke in this trendy venue. The Hollywood Hills are a part of the Santa Monica Mountains and also a hillside neighborhood of the same name in the central region of the city of Los Angeles, California. Legendary memorial walk adorned with stars bearing the biggest names in the entertainment industry. Japanese-based retailer known for its collection of Asian books & magazines, plus DVDs & stationery. 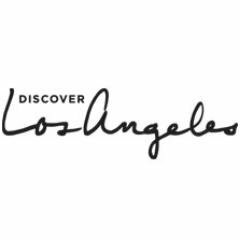 Discover LA goes on a whirlwind tour of LA. If you're really ambitious, you can cram your journey into a 24-hour visit like this couple. Or if you live here, you can experience these great adventures at your leisure, but even then it might take a lifetime to see it all!